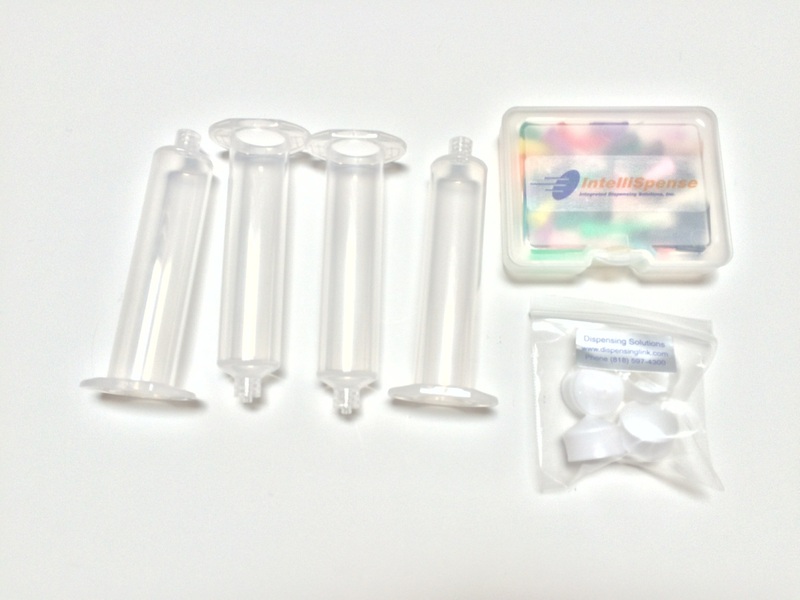 Are you just starting out in dispensing, or unsure of the size you will need? 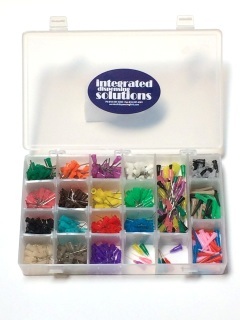 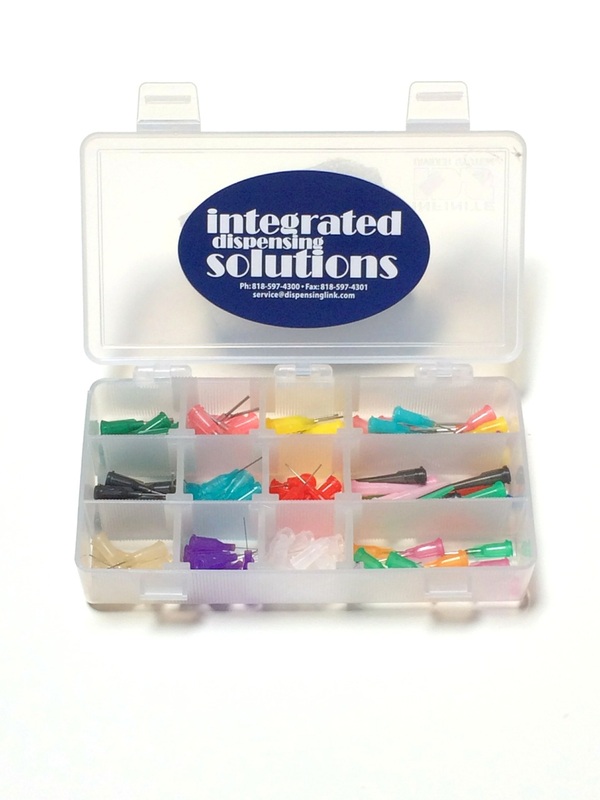 The Blunt Needle Sample Kits available from IDS offer a selection of our Disposable 304 Stainless Steel Blunt tip needles, as well as our Plastic Taper Tip needles, and a few other samples for you to review before ordering the individual sizes. 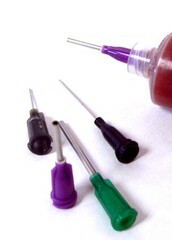 Luer Lock needles will press onto a Luer Slip Syringe. Luer lock Syringes have a collar with thread that hold the syringe more securely. 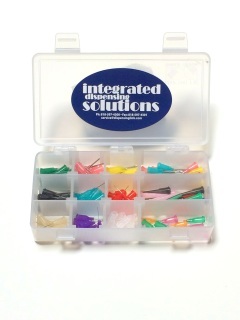 Our tips are designed to work with any standard Luer Lock or Luer Slip fitting on a valve as well. 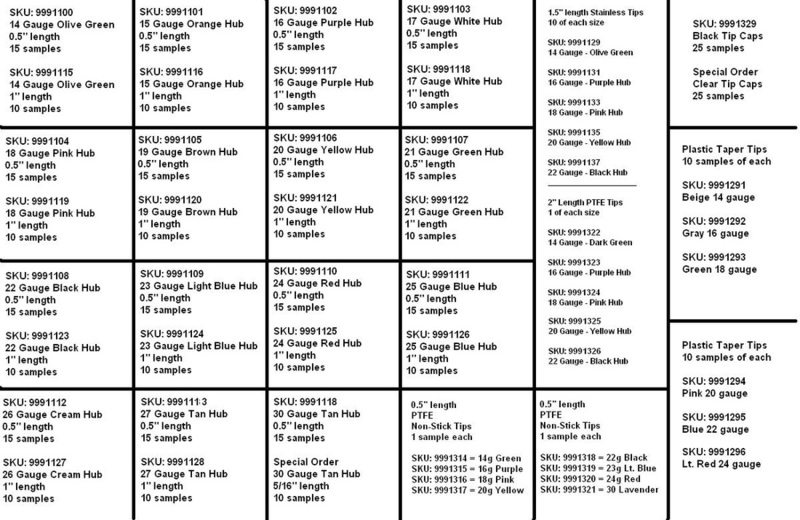 If you already know the dimension you want, it may be better to order that specific size. 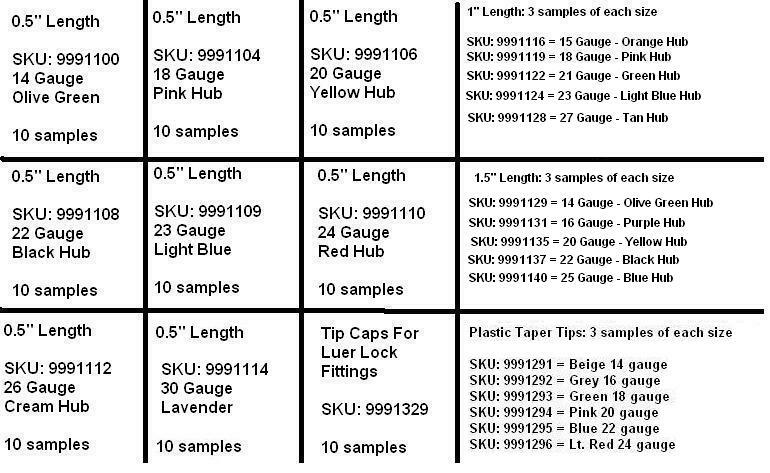 View all of our blunt tip needle options here!